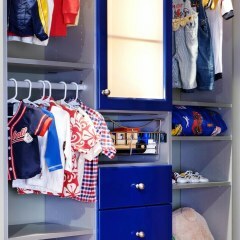 Closet Organizers: Custom-designed By You, Quality-built By Us. 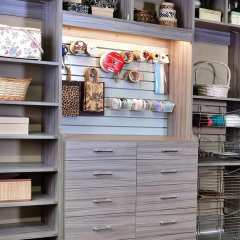 Closet organizers skillfully crafted with superior quality materials at affordable prices. Guaranteed easy install and ships free. Closet organizers are the ultimate do it yourself project. They not only make your life simpler, they also bring about a lifetime of satisfaction. 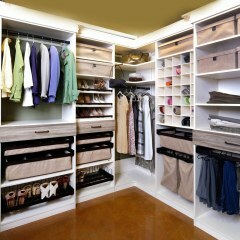 The Closets To Go closet organizers are the easiest to design and assemble. From our easy-to-adjust hanging bracket to the pre-assembly of all your hardware fittings and labeled panels, we've virtually made reading instructions a thing of the past. 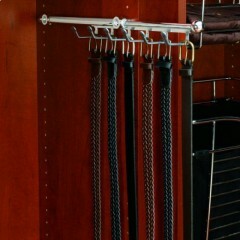 Our custom closet organizers are the easiest to install in the nation, guaranteed! 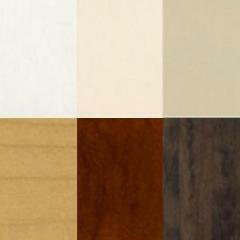 They're also constructed with high-quality, environmentally-friendly materials made right here in the United States. 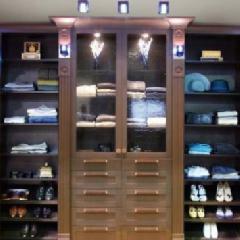 Carefully constructed exactly to your specifications, our closet organizers can solve a number of organizational issues, whether it be more space for kitchen storage, a new place in your garage to store seasonal items and tools or a room to showcase your exquisite fashion taste. It's easy to get started - simply click "Start Designing" below to request a complimentary closet design or try your hand at our easy-to-use online closet design software. Whatever it is you're looking for, our custom closet organizers will satisfy all your space saving and organizational needs. 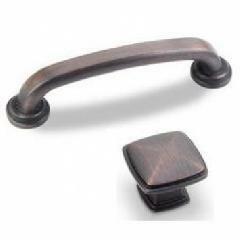 Experience the Closets To Go difference and see why nationwide customers are repeat customers!